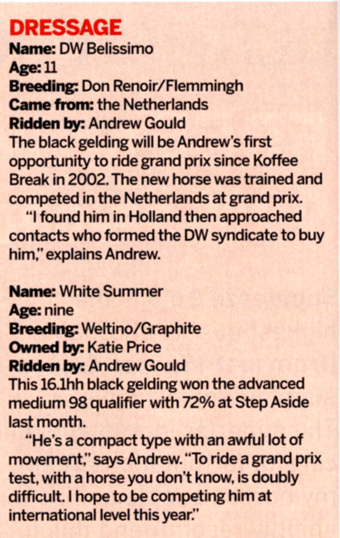 Andrew headed off to Addington Winter Regional Championships this weekend with his two top horses. 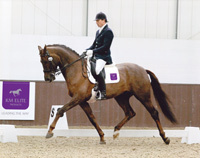 Cortaflex Varisto, the newly sponsored horse by Equine America, was 1st in the Medium Music, 2nd in the Advanced Medium Music and 2nd in the Medium Open taking him directly through to the National Championships in all three classes. 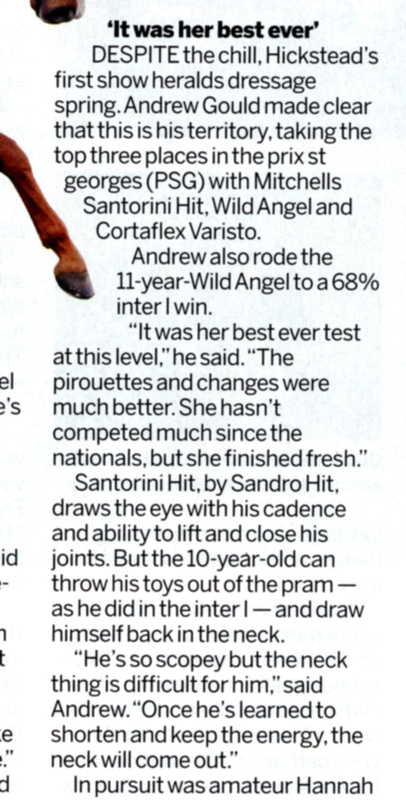 His other ride Mandy and Andrew Crouch’s Wild Angel also had a successful show coming 2nd in the Advanced Medium Open and 4th in the Advanced Medium Music. 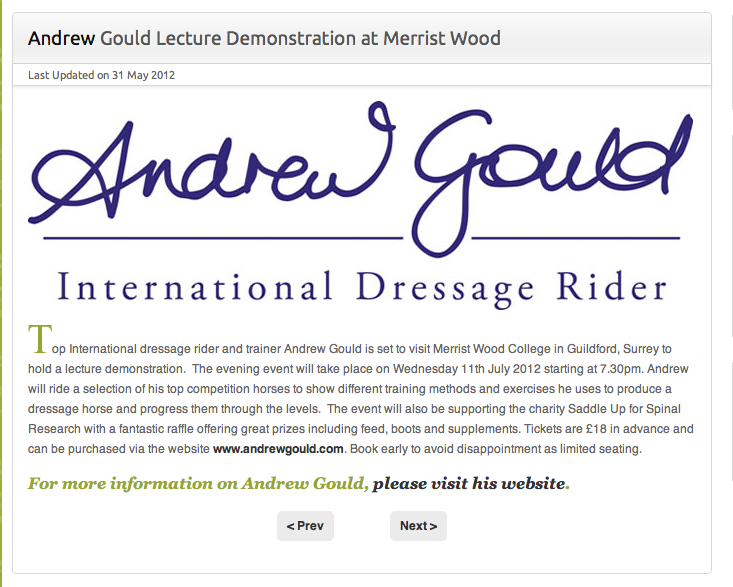 Equine America is proud to be hosting a lecture demonstration evening with top international dressage rider Andrew Gould and top up and coming event rider Emily Llewellyn to raise money for Spinal Research, Saddle Up Campaign as part of Andrews London Marathon run. The evening event will be held at Oldencraig Equestrian Centre on the 26th March and will include riding demonstrations from both riders on a variety of horses, including dressage and jumping the event horse. 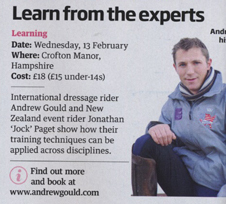 There will also be a demonstration by Point Two Air Jackets and a chance to meet both riders. All proceeds from the evening, including from a Charity Raffle full of amazing horsey goodies kindly donated by a number of companies, and from the ticket sales, will go to support the Spinal Research, Saddle Up Campaign (for further details see www.spinal-research.org), for which Andrew is an Ambassador, and is running the London Marathon this year. Andrew is delighted that one of his pupils Clair Jeffreys has been invited to trial for a place on the Two Star Eventing team for 2011. 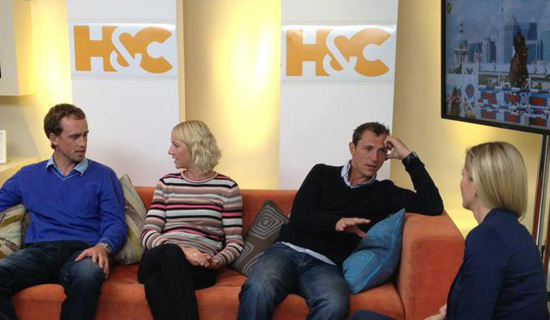 They hold a European Championship every other year and the next one is 2011 here in the UK. 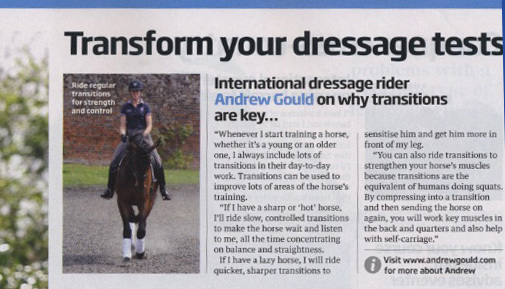 Andrew has trained Clair in the dressage phase for the past two years and currently travels to her yard at Littleton Manor EC near Reigate to hold clinics. Andrew wishes Clair lots of luck for this coming season is looking forward to watching her progress. 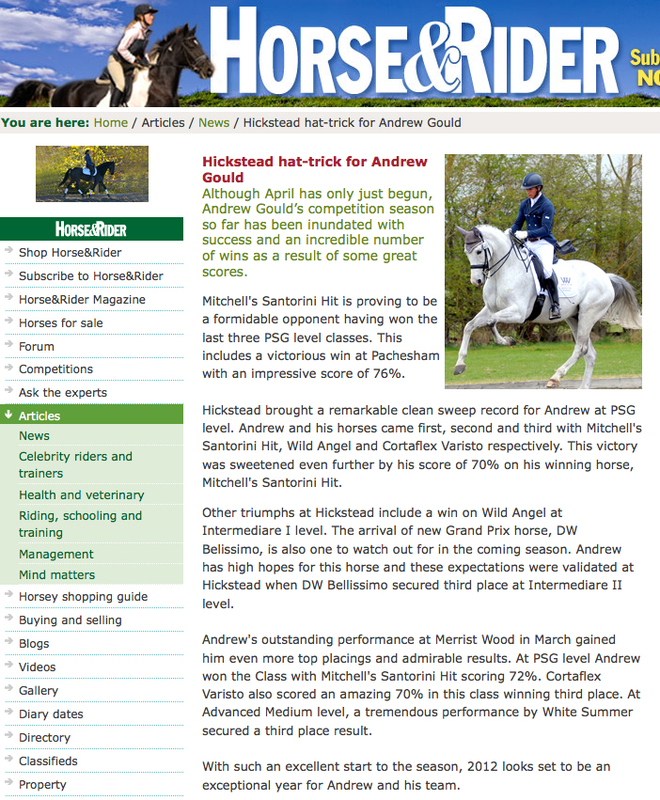 Andrew will be joining The Manage My Horse eMag team very soon as MMH's first celebrity blogger. 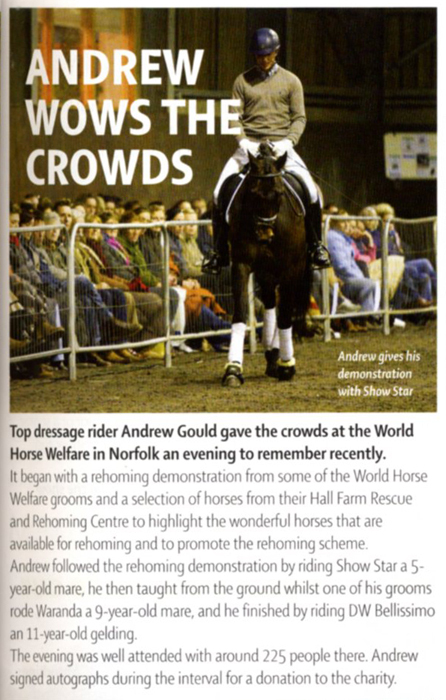 Andrew will be telling all, from playing football and training for the marathon to training his pupils and the latest news about his impressive string of horses. 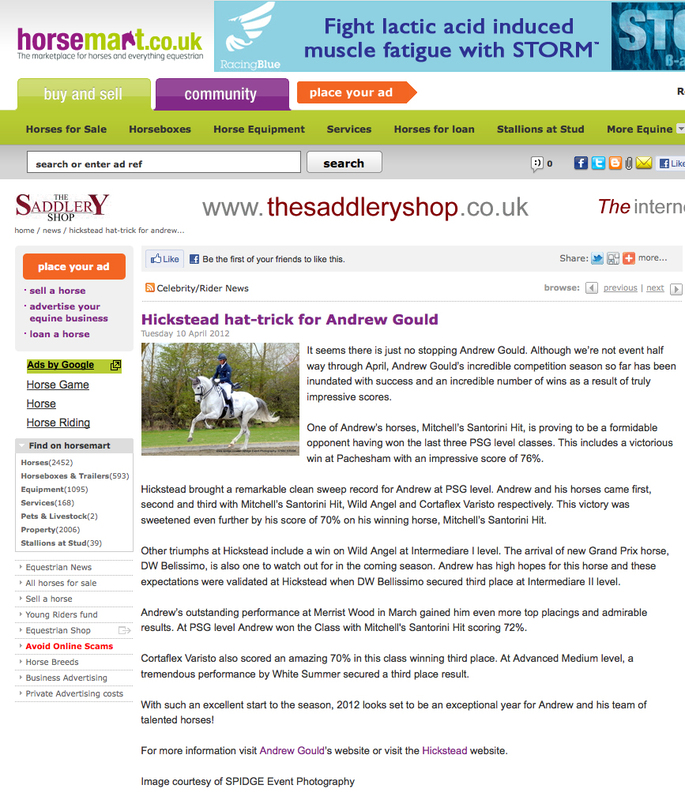 Log onto www.manage-my-horse.com to see the first entry.